Our bankruptcy attorney can stop your wage garnishment for only $900. To find out if you qualify for an emergency bankruptcy call us at (916) 596-1018. Wage garnishment is an effective collection method for creditors. An active wage garnishment will force your employer to withhold a portion of your wages and send the money to the levying officer, who in turn pays it to your creditor until the judgment is paid in full. The portion withheld is often 25% of disposable earnings, but can be as high as 50% of disposable earnings for support debts. If your employer has been served with an Earnings Withholding Order you will have to act fast to protect your wages. One option is to file a Claim of Exemption within 10 days of receiving notice of the Earnings Withholding Order. However, if your creditor opposes your claim of exemption a court date will be set for a judge to determine whether to allow your exemption. Another option for stopping wage garnishment is to file a bankruptcy petition in the Sacramento Division of the United States Bankruptcy Court. Bankruptcy will stop the wage garnishment the day your petition is electronically filed. In addition, bankruptcy can eliminate your debt and give you with a fresh financial start so that you can rebuild your life without the burden of old debt. Therefore, if you need to protect your wages and eliminate debt you should contact a bankruptcy attorney and schedule a free consultation. The filing of a bankruptcy petition creates an automatic injunction against most collection efforts. This automatic injunction is known as the “automatic stay” as it stays (stops) collection activities including wage garnishment, foreclosure, and repossession. The purpose of the automatic stay is to prevent creditors from stripping a debtor of their possessions and thereby circumventing the bankruptcy process; a process designed to provide creditors with equitable treatment but which is dependent upon the participation of creditors and the absence of self-help collection efforts. In effect, the automatic stay is one of the most empowering features of bankruptcy. Upon filing your bankruptcy petition your wage garnishment will cease and you will once again receive your full paycheck. However, if you file chapter 7 bankruptcy you will not have the option of revoking your decision once your petition is filed with the court. Consequently, you must determine whether chapter 7 bankruptcy is in your best interest before you file a chapter 7 petition with the court to stop a wage garnishment. 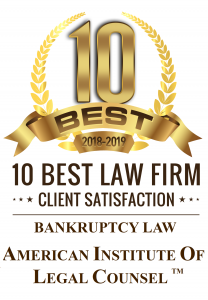 To determine whether chapter 7 bankruptcy is a viable debt-relief option given your unique circumstances contact a bankruptcy lawyer. While wage garnishment is an effective and economical collection method for creditors it is not an automatic process. To garnish your wages a judgment creditor must obtain a Writ of Execution. A writ of execution is a court order directing the Sheriff to enforce a judgment in the County where the assets are located. If the creditor also wants to collect costs associated with the obtaining the judgment (such as the levying officers’ fees) or interest on the judgment the creditor will also file a form titled Memorandum on Costs After Judgment before obtaining a writ or execution. 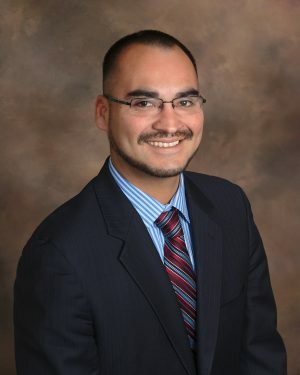 Once the creditor receives a writ of execution they will file document and an Application for Earnings Withholding Order with the Sacramento County Sheriff’s Civil Bureau. In turn, the Sacramento County Sheriff will issue an Earnings Withholding Order with the Levying Officer’s file number. The Sheriff’s Office will serve the employer with the order and related documents. Within 10 days of service the employer will deliver a copy of the order to the employee along with a Claim of Exemption form. Within 15 days of service the employer will complete and mail the Employer’s Return. If you want to stop the wage garnishment and not file bankruptcy you must file a Claim of Exemption and Financial Statement with the Sheriff’s office within 10 days of receiving notice from your employer of the wage garnishment.